Greetings and hello! My name is Maxx and I have been involved with roleplay games since the 1980s, starting with D&D and moving onto a fabulous game called Villains and Vigilantes (2nd edition). 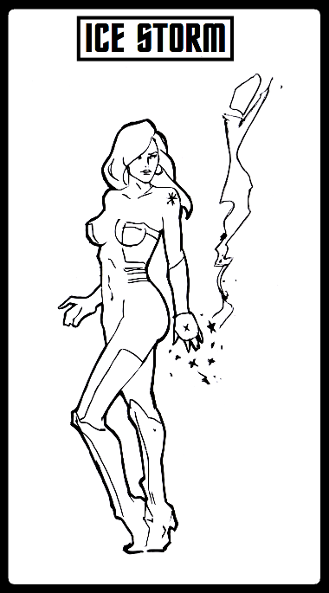 I have been heavily interested in a game called Traveller and Starfire, and I flirted with the GURPS system briefly. Then I came across an incredible RP system called Palladium, and fell in love with their Heroes Unlimited part of the universe. Over the next 20 years I played and GMed with most of the products that Palladium produced but stuck mainly with Heroes. The links you see to the left of this section is a culmination of my work within Heroes. A few items I totally ganked from other sources (like the Force of July) but I forget who wrote it up or where they are, so I am including them here as a "favorite". Feel free to download and use anything in this section! Heroes Unlimited is a great roleplay game because you get to play the good guy as an adult, catching the bad guys like you used to do as a kid! I've enjoyed the imagination to create numerous evil organizations that needed to be defeated, ultimate bad guys that deserved to be jailed, and the whole "saving the world" thing. I mean who doesn't want to save the world, eh? So, again, feel free to use this material for your own roleplaying. I had fun with it all and hope you will too. 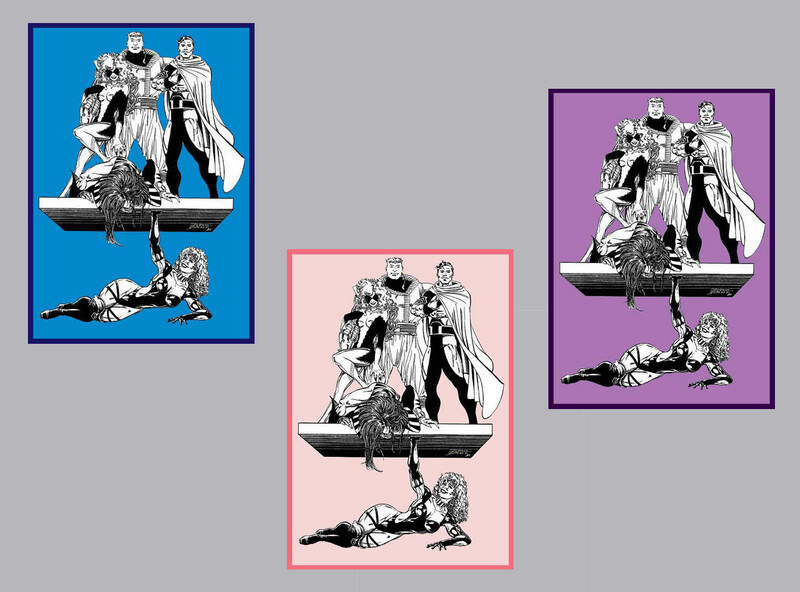 More on the Heroes Unlimited universe can be found over at the Palladium website, enjoy! These guys are useful as NPCs when a REALLY bad guy or group of people are running amok and your players/party are unable to stop them easily. 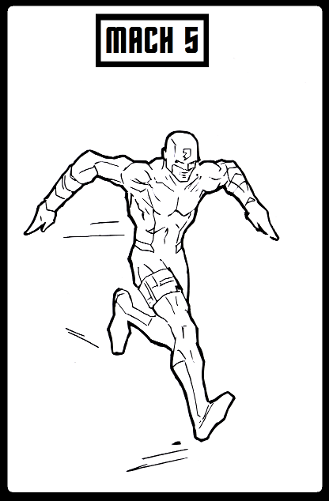 These non-player heroes won't kill with these "finishing moves" but they will certainly bring down most major bad guys and are a good "back up" for any superhero group. They can also be excellent BAD GUYS....their Finishing Moves can be pretty horrifying to the players, muwhahaha! Of course if these are Bad Guys, then they CAN kill NPCs and Players with their Finishing Moves. survive this attack. In addition, many heroes and villains are immune to many different types of superpowers, but poison is often overlooked and would be devastating to most of them. 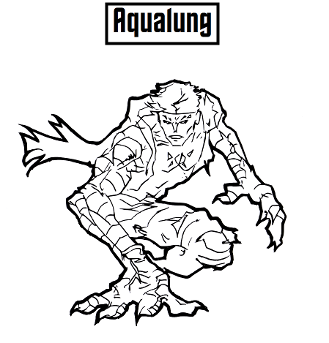 Aqualung does not have to touch the target to make this power move work, he can be up to 100 feet away. In locations like Florida and Louisiana, this power could be instantly fatal to anyone since a high number of crocodiles live in those regions. Aqualung cannot duplicate this attack more than once per week. GMs can decide how much damage is being done during the Frog Mob Finishing Move. GMs are also encouraged to describe in intimate details the Frog Mob Finishing Move; its one of the cool things you will almost never see in the game and should give the players a fantastic memory of the event. to most NPCs and players who believe they are immune to physical attack. This move only involves his fists, feet or legs cannot be used. 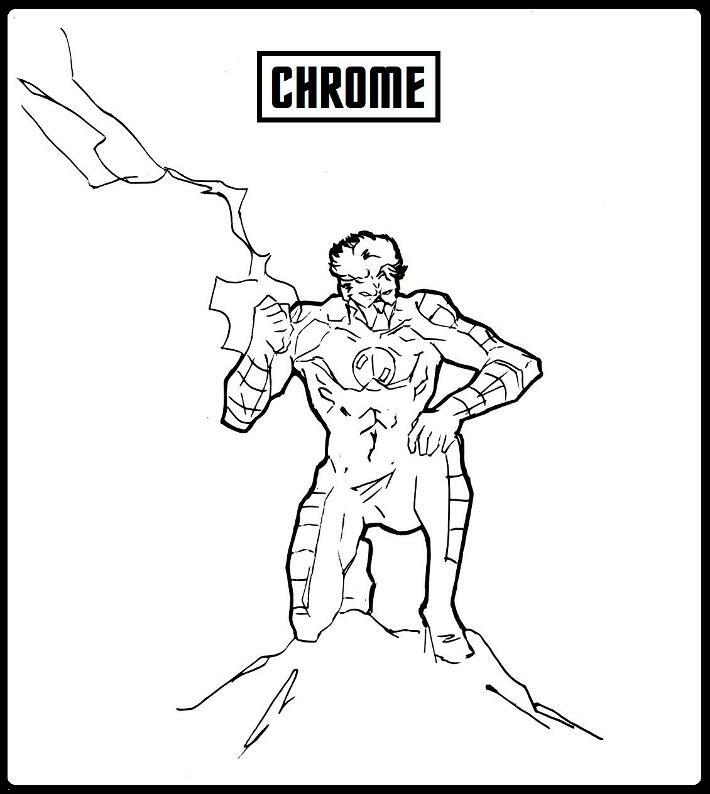 A massive build-up of electricity in Chrome's metal hands makes this attack possible, and deadly because if the physical damage doesn't do in the target, the electrical shock it produces most certainly will. Final damage is up to the GM, since he can gauge best who and how much this should hit. Chrome cannot duplicate this attack more than once per week. Ice Storm has the following super powers: APS Ice and Detonation. With these she creates this lethal attack: “Explosive Ice Finishing Move”. This powered assault is extremely deadly to everyone nearby and should only be used in dire circumstances; it can easily kill most low level NPCs and players. During this attack, the NPC Ice Storm uses nearly a minute to "power up" this devastating blow, which when released affects everyone within 80 feet. During this "finishing move", shards of deadly ice are exploded at anyone nearby, causing tremendous damage. Its an area effect weapon and is perfect for any situation where the players are about to be overrun by the bad guys. Sadly it also doesn't discriminate between friend or foe. Because Ice Storm is putting all her power for an entire week into this massive finishing attack, these ice shards are not blocked by regular body armor, but defenses like force fields and intangibility do work against it. The final damage to the entire area should be decided by the GM, since its his scenario and he knows best on how to use (or misuse) this option. Ice Storm cannot duplicate this attack more than once per week. the foe. GMs get to decide how much this damage is. He literally pounds the target into the ground using this technique. Mach 5 cannot duplicate this attack more than once per week. His other powers, however, remain available. 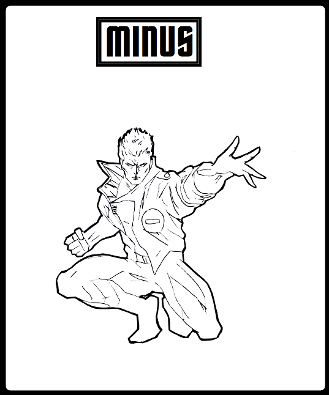 Minus has the Negate Super Abilities and Absorb Powers and the “Ultimate Drain Finishing Move”). This devastating assault is designed from the beginning to severely and permanently deplete its (single) target. It is used only in the most dire circumstances since the NPC is a "good guy". Minus uses this power in the following way: he must have 2 minutes of non-combat to activate this attack. He then merely touches a NPC or player and that person's powers, health, and vitality (hit points) are drained into Minus, giving him all the hit points that he just drained. In addition, the target loses all his superpowers and upon death during this combat scenario loses them permanently (if brought back to life, he has none of his former powers). In addition, Minus can permanently absorb 1 of these powers when this super attack is used (GMs choice). The target is left with 1 hit point, and no powers whatsoever. Minus cannot duplicate this attack more than once per week. 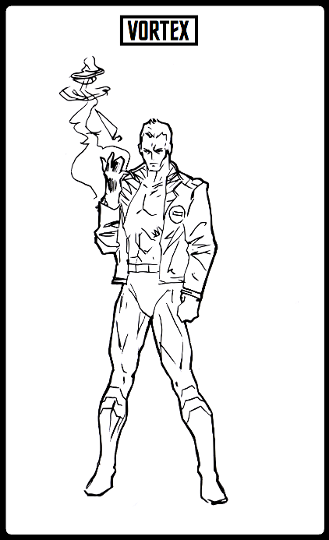 Vortex has the super-powers of Bio-Ghost and Spin at High Velocity and can combine them into this devastating attack: the “Ghost Vortex Finishing Move”. This combat move is only used in dire circumstances since it could kill most low level NPCs and players. During this attack, the NPC Vortex uses nearly a minute to "power up" this devastating blow. All he has to do is get near his target, within 30 feet, to start causing enormous damage. Its an area effect weapon and cannot distinguish between friend or foe. When Vortex begins this attack he starts to spin at high velocity and using his bio-ghost powers he moves at unheard of speeds (-10 to be hit). His powers drain everyone in the area according to the Bio-Ghost power while inflicting high wind damage of 2d6 per melee. This attack to an outsider looks like a large rapidly whirling fog bank. Vortex cannot duplicate this attack more than once per week. Abbess has the following superpowers: APS Fog, Extraordinary PS, and Shadow Shaping. She has a devastating attack she uses when in great danger, the “Crushing Shadow Finishing Move”. 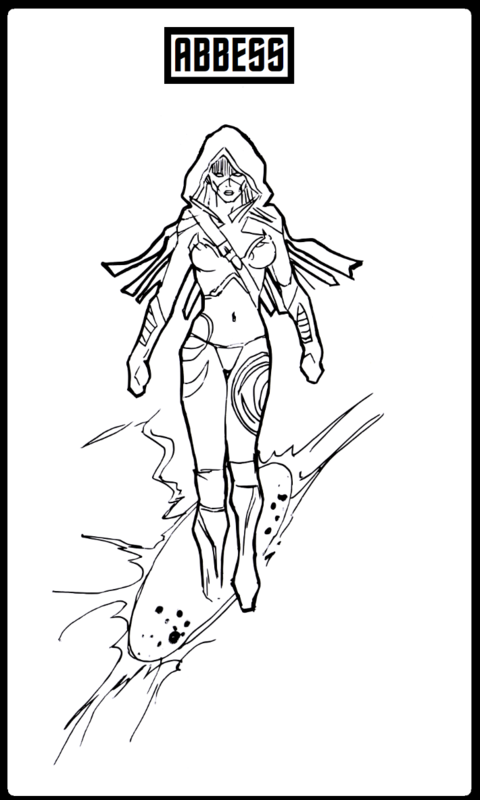 This character has several unique abilities that when combined create a lethal super-power, one that most people cannot ignore or avoid. Only when under the very real risk of losing a battle, this power can be called forth. To make this finishing move happen, Abbess must concentrate for at least 60 seconds, "powering up" this devastating attack. When unleashed, the Crushing Shadow Finishing attack can only be focused on one target, one which they virtually cannot escape. During this move, Abbess is able to call forth a tangible shadow fog which somehow combines with her amazing physical strength, letting the shadows literally pummel and crush the target. This attack causes immense physical damage, and very few people can withstand it. 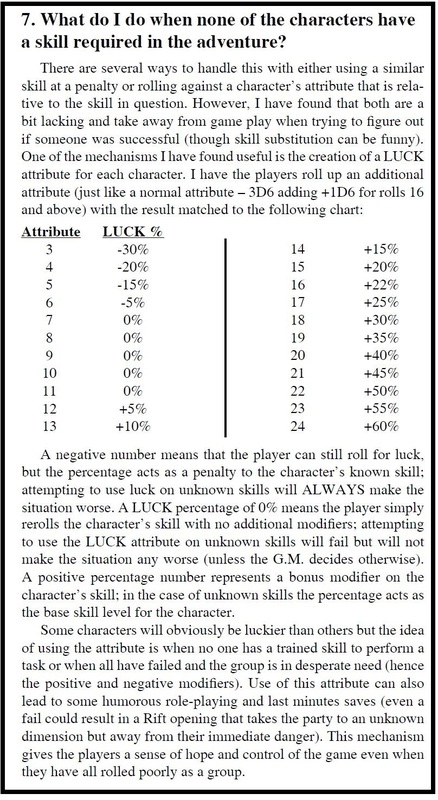 GMs can estimate the damage based on their players. This attack to an outsider looks like a large rapidly whirling black fog bank with muscular arms that strike its foe at least a dozen times. This power is super-draining and Abbess cannot duplicate this attack more than once per week. this assault. It can also be used to encase a object, like a bomb (which cannot break through the encasement). Glitter cannot duplicate this attack more than once per week. 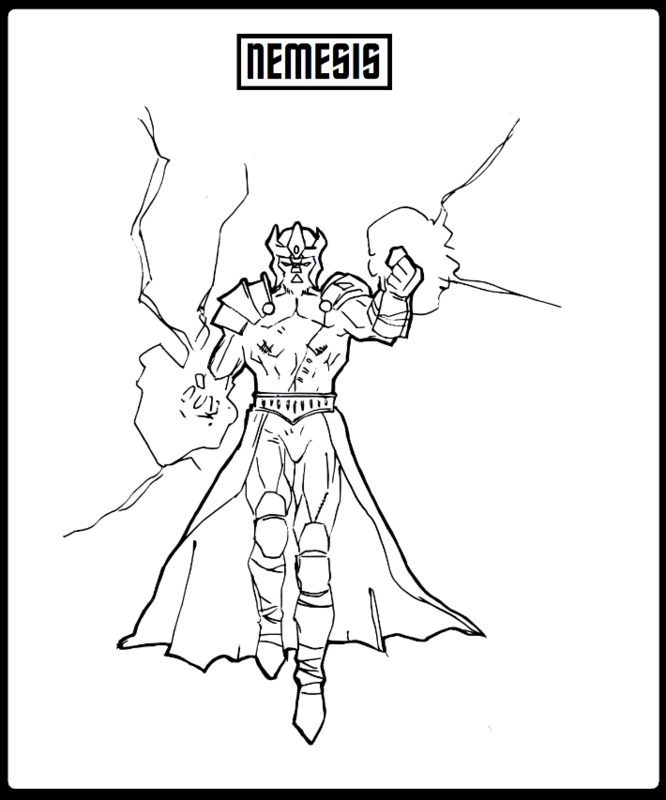 Nemesis (Lightning Rider and EE Electricity – “Electronic Burn Out Finishing Move”): This superhero or supervillain has a powered attack is extremely deadly to everyone nearby and should only be used in dire circumstances; it could kill most low level NPCs and players. During this attack, the NPC Nemesis uses nearly a minute to "power up" this devastating blow, which when released affects everyone within 100 feet. 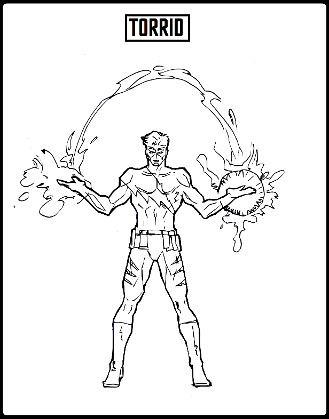 During this "finishing move", he uses his powers of electric control to draw that power from any nearby source, exploding it all at anyone nearby, causing tremendous shock damage. Since it drains him, Nemesis cannot do this attack more than once per week. During this "finishing move", he uses his powers of electric control to draw that power from any nearby source, exploding it all at anyone nearby, causing tremendous shock damage. Its an area effect weapon and is perfect for any situation where the players are about to be overrun by the bad guys (or vice versa). Sadly it doesn't discriminate between friend or foe and it burns out all nearby non-military electrical items. This electrical surge is not blocked by regular body armor (unpowered), but defenses like force fields and intangibility do work against it. The final damage to the entire area should be decided by the GM, since its his scenario and he knows best on how to use (or misuse) this option. This is a area attack that overwhelms even players and NPCs that are immune to physical attacks and the infamous supernatural strength power. 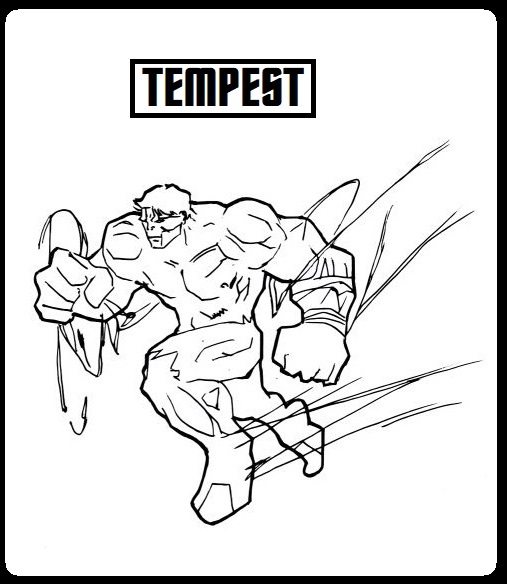 When fully powered, this attack occurs as follows: Tempest begins a supersonic flight that can barely be seen (and cannot be countered or stopped), he over-charges his electrical powers and creates a 20 foot wide ramming affect for 200 feet. GMs get to decide how much this damage is but it does burn out any unhardend electronics and electrical components over a 5 block radius. Tempest cannot duplicate this attack more than once per week. His other powers, however, remain available. Torrid (Water Burster and Force Field – “Drowning Box Finishing Move”): This gruesome attack is only used in dire circumstances since it could kill most low level NPCs and players. During this attack, the NPC Torrid uses nearly a minute to "power up" this devastating blow. When he strikes, he must be within 10 feet of the target. He uses all his strength of his powers to trap one character into a force field coffin. The coffin, with the target inside, begins to fill up immediately with water. In 60 seconds it is filled to the top, no air is inside. Within 2 minutes the target will drown. Final damage is up to the GM, since he can gauge best who and how much this should hit. Torrid cannot duplicate this attack more than once per week.